I just received a few samples of this cigar from our friends at Top Quality Cigars. I first heard about them when my business partner Mario returned from a trip to Chicago where he hung out with some of the people involved in the project. A quote about the project and the cigars form the Top Quality Cigars website: "This whole process has been very secretive; Jeffrey Holst, a Battalion Chief from Firehouse No. 1 in Lombard, IL brought to us the idea of doing something special to commemorate the 343 fallen Firefighters of 9/11. We approached Jaime Garcia with this idea and he graciously accepted to blend and create this highly special extremely limited cigar, each box will contain 9 Ecuadorian Habano Rosado wrapped cigars and 11 Nicaraguan Habano Oscuro wrapped cigars. The size best described as a Toro 5 1/2" x 54. This will be a special size created by Jaime just for this cigar. $40.00 from the sale of each box will be donated to a designated charity of the fallen heroes of 9/11, these cigars are rich complex with medium to full body, everyone will enjoy, so buy them while they last"
For this review I'm trying out the Habano Rosado wrapper version. 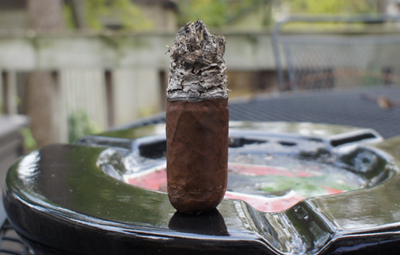 The 54 ring gauge of this cigar was deceiving because when I held it in my hand it felt bigger. Maybe my hands are shrinking because I seem to be thinking that a lot lately. The wrapper was dry and very smooth with a few decent sized veins that didn't look as if they would have any impact on the burn. 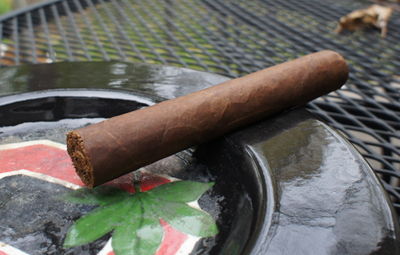 The color of the cigar was a medium to light brown with reddish tints. The pre-lit aroma was faint and smelled the most strongly at the open foot of fermented tobacco. Clipping the cap was no trouble and the cold draw had a strong black licorice taste. When first lit I was blasted with a strong spicy black pepper that I have grown to love from My Father Cigars. The spice most most noticeable on the roof on my mouth and on the sides of my tongue. The finish on the profile was also full of black pepper but left a dry feeling on my palate, not unlike the dry feeling you get after drinking something like apple cider. The draw was great and the construction top notch. About an inch into the smoke, the lovely pepper was still going strong but I started to get some harshness on the finish in the back of my throat. This was not very pleasant. The strength was in the medium range. The second third of my My Father 9/11 was still dominated by black pepper on the front, but on the finish I got some slight hints of coffee. This was nice, but unfortunately with that coffee came some bitter taste that only added to the uncomfortable harshness on the end of each puff. 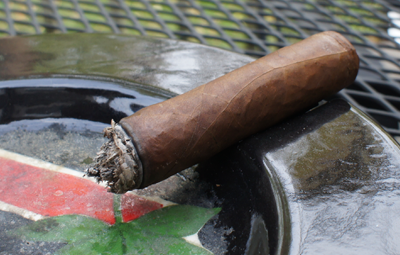 I started to smoke the cigar slower than I normally would do and this seemed to tone down the harshness a lot, so I would recommend to anyone getting some unpleasantness from this cigar to take it slowly. Just like the first third, the draw was great and the construction perfect. I'd say the strength by this point was leaning more into the full area. It didn't get any better for me in the final third of my My Father 9/11. The pepper that I normally love was being overpowered by the bitterness from the finish and actually made each draw kind of rough to take. I continued to smoke the stick because every now and then I got some nice coffee tastes, but not enough to make me take it all the way to the nub. The strength was definitely in the full power mode and the amount of smoke the stick produced seemed to ramp up even more. 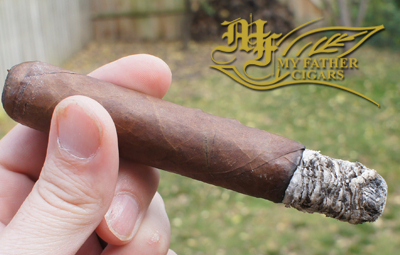 My final thoughts on the My Father Commemorative 9/11 blend 343? I'm not sure if these still have some aging to do or if I got a bad stick, but this was not the normal precision flavor blending that I know come out of the My Father camp. 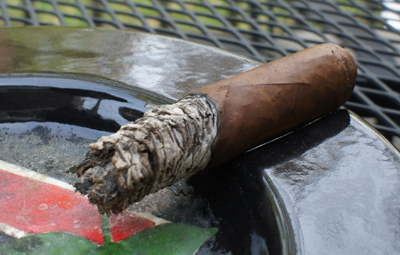 The cigar seemed unbalanced and rough around the edges. I have a sample of the Oscuro-wrapped version of this stick, so I look forward to seeing what that will bring and see if is more to my liking.